If you are looking for a dependable and capable SUV for your winter weather driving, look no further than Land Rover Colorado Springs. We have a huge selection of brand new and gently pre-owned options. Some of our pre-owned vehicles are retired courtesy vehicles which were cared for here at Land Rover Colorado Springs. For example, this 2018 Land Rover Discovery Sport is gently used and has approximately 7,423 miles on it. This SUV has a powerful 2.0L I4 engine with an efficient 9-speed automatic transmission which delivers an estimated 21 mpg city and 25 mpg highway. This Land Rover is ready for the cold weather thanks to the Cold Climate Pack. Plus, enjoy other great features such as Reverse Traffic Detection, 10-speaker premium audio system, Emergency Communication System, loadspace mat, and 10-way power front seats. 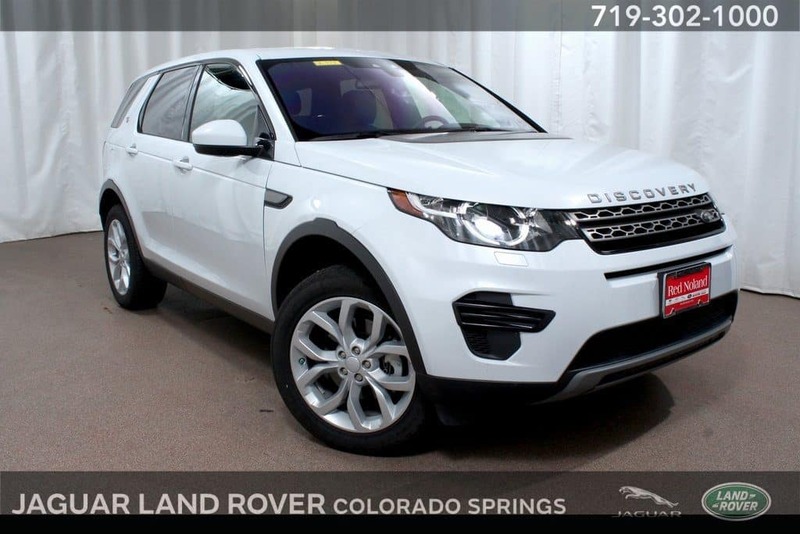 Visit Land Rover Colorado Springs today for a test drive of this innovative and capable luxury SUV!